Thank You 2018 HOSPY Sponsors! Thank you to our Owners’ Insight Sponsors! Thank you to everyone who made 2018 Hospy Awards a success! 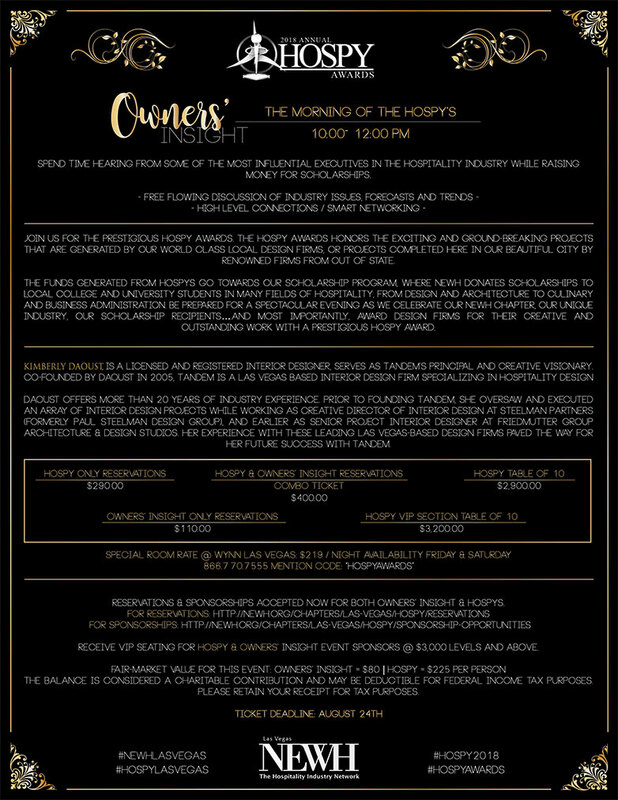 The NEWH Las Vegas HOSPY Gala has gained national recognition as one of the most sought after, annual fundraising events in the hospitality industry. Every other year, the best in hospitality design projects receive the prestigious HOSPY Award. 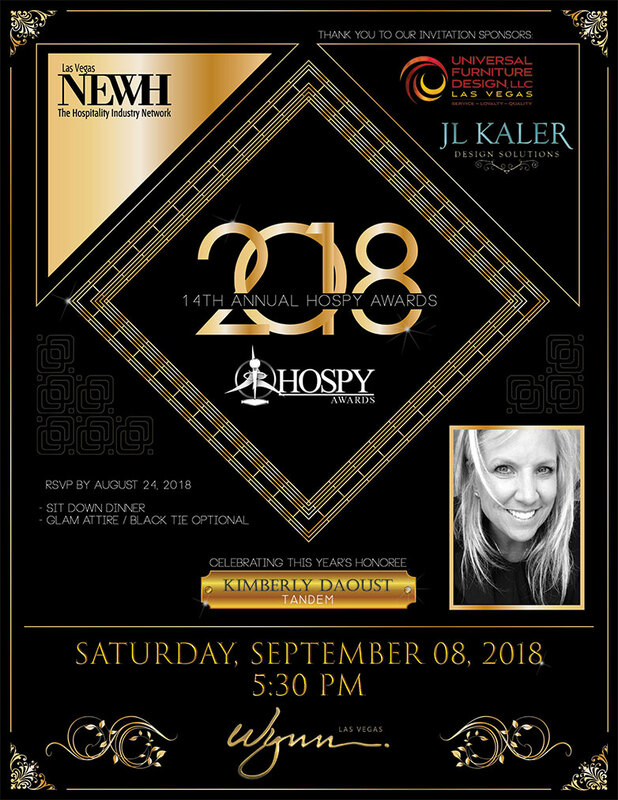 The 2018 HOSPY Awards were presented during the NEWH Las Vegas fundraising event on Saturday, September 8th at The Wynn Las Vegas. Over the years, NEWH Las Vegas has awarded over $350,000 to Hospitality focused students in Interior Design, Architecture, Hotel Management and Culinary Arts. NEWH Las Vegas hosted an owners’ panel of industry insiders. Distinguished hospitality movers and shakers sat on a panel for a free-flowing discussion of industry issues, forecasts, ideas, and trends. This event allowed for connections, questions, and exposure to the insider track to the hospitality world.